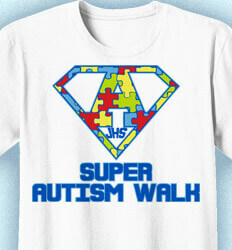 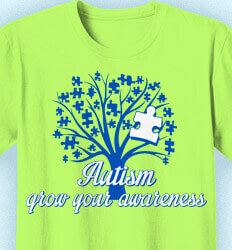 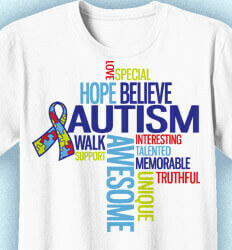 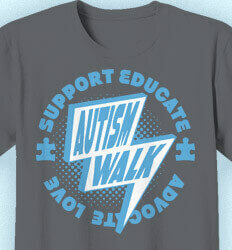 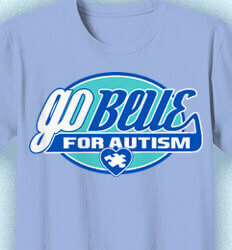 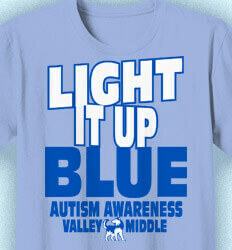 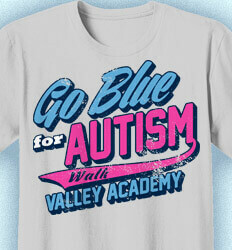 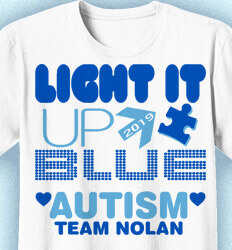 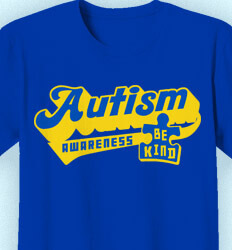 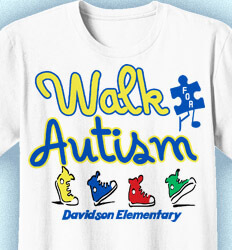 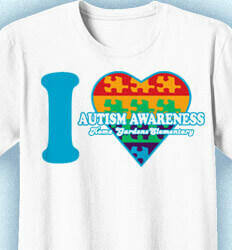 Let IZA Design help provide your AUTISM AWARENESS AND WALK SHIRTS. 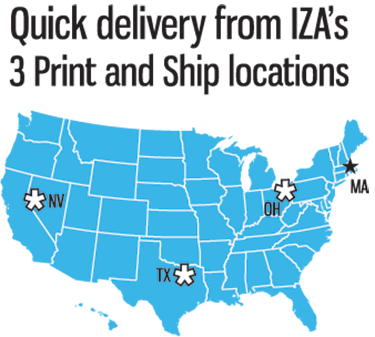 We've been around since 1987, and have helped schools, teams, and businesses nationwide. 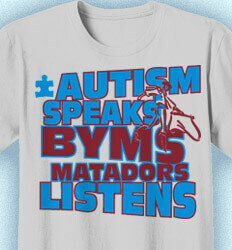 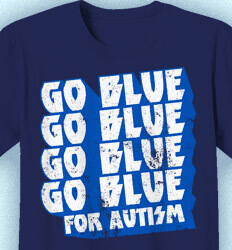 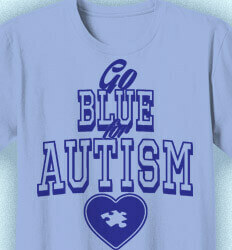 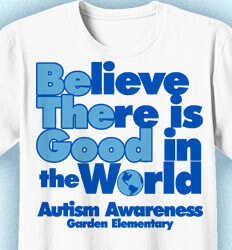 Start with one of our NEW Autism Design Ideas and an artist can help customize the text and colors. 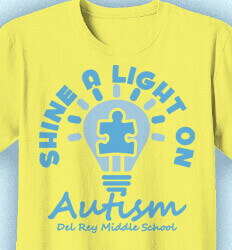 If you have an idea of your own, no problem, we can use it too. 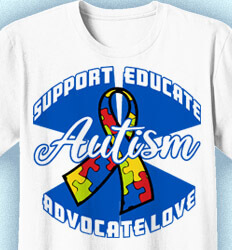 We offer FREE shipping and QUICK delivery. 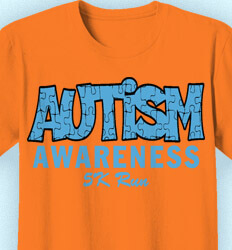 SPECIAL PRICING on 250 shirts + - contact us! 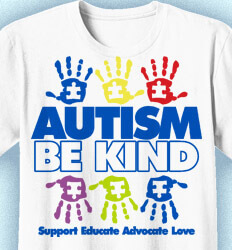 Autism is a development disability that originates in the brain and can cause significant impairment in language develpment, social interaction, communication and behavior. 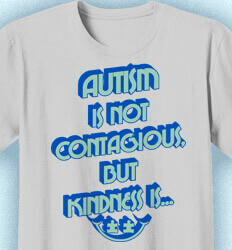 There is no known cause for Autism thus the importance of raising awareness to support ongoing research is vital. 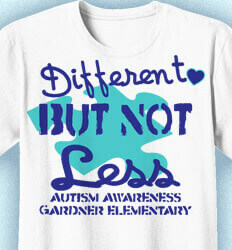 Studies have shown that increased awareness leads to better detection. 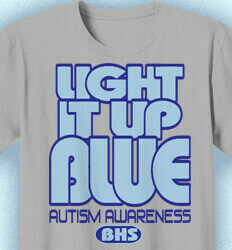 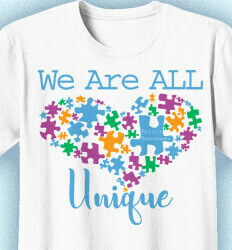 We can help you create your Autism awareness t-shirts and sweatshirts using your own individual design. 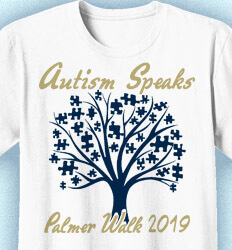 If you have a logo, team mascot, or slogan, just send us your design file (.eps, .ai, .cdr, or .psd- using our Contact Us page) and we'll take care of the rest. 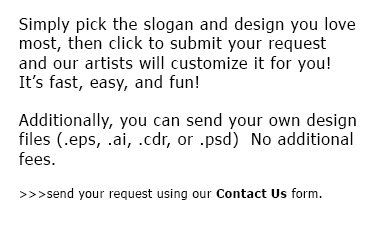 As always, there are no additional fees to use your own designs. 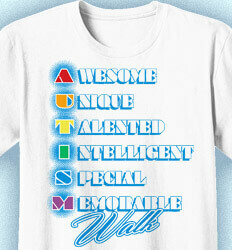 Here are some catchy Autism slogans and quotes. 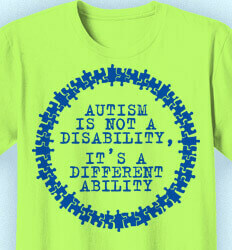 - Autism is not a Disabiity, It's a Different Ability. 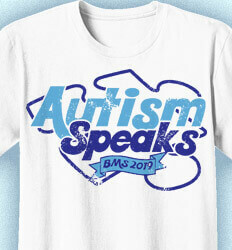 - Autism speaks. 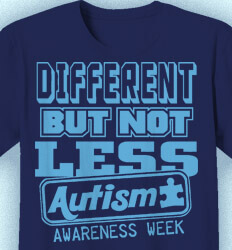 It's time to listen.